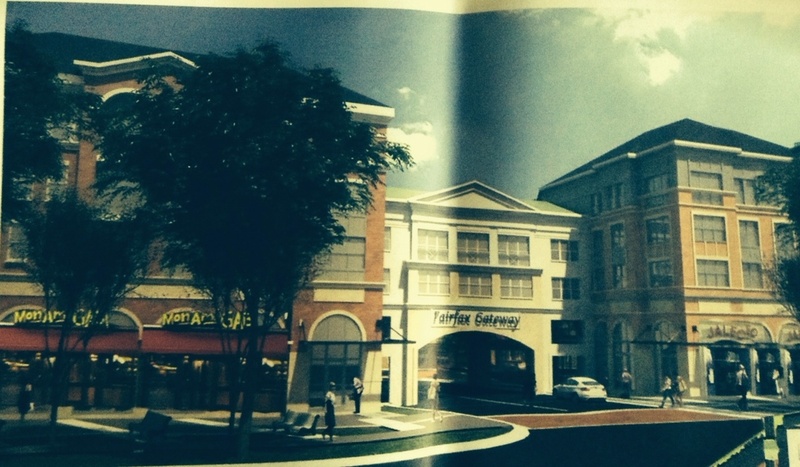 On February 24 the City Council approved the rezoning of the Novus Fairfax Gateway project. With approval, this blighted strip of the Kamp Washington triangle will be transformed into apartment buildings, a walkable and bike-friendly street grid, well-designed public space and shops fronting Routes 29 and 50. Fairfax City Citizens for Smarter Growth testified in support of the project. Click here to read our comments and checklist evaluation of the project. The project enjoyed broad community support. Most of the comments by citizens at both public hearings were supportive, including those of the nearby Fairchester Woods Civic Association. The developer, Cafritz Interests, met repeatedly with residents of Fairchester Woods and developed an internal street grid that both improves auto, pedestrian, and bicycle circulation and protects Fairchester Woods from cut-through traffic. Affordable housing emerged as the major issue of public interest and negotiations between the City and Cafritz. The Fairfax City chapter of VOICE (Virginians Organized for Interfaith Community Engagement) has emerged as a powerful voice for preserving and increasing opportunities for people of lower incomes to live in the city. Ultimately, the City and Cafritz reached an agreement whereby Cafritz will provide 24 affordable dwelling units out of the total 403 units. The Council voted 5-1 to approve the project. Councilmembers DeMarco, Loftus, Meyer, Miller and Schmidt voted in favor. Greenfield opposed. The Mayor only votes in instances of a tie. However, Mayor Silverthorne’s final remarks were largely critical of the project. Two of the Mayor’s observations were particularly noteworthy. Speaking critically of the request for a parking reduction, Mayor Silverthorne said, “I regret every single parking reduction I’ve ever given.” But parking is extremely expensive to build, and wasteful of space. One of the reasons for high rents for both commercial and retail tenants is the high cost of building “free” parking for residents and visitors. To create more pedestrian-oriented and vibrant public spaces, the City’s prescriptive parking standards need to be relaxed. Mayor Silverthorne also voiced frustration with the City’s inability to get the same kind of leverage in negotiations with developers that Fairfax County enjoys. Fairfax County and other nearby localities, such as Arlington and the City of Falls Church, have established relatively clear ground rules about where they want to see higher-density redevelopment, and what developers need to provide in order to profit from higher densities. Fairfax City has a much more amorphous framework, making every major development project a case-by-case exercise in political negotiations. The City can increase its leverage by establishing a clearer framework for redevelopment. The zoning rewrite initiated by the Mayor and Council will help to some extent in providing more clarity. So will the update of the city’s comprehensive plan, which the Mayor has stated support for completing by mid-2016.